So I was moved by a recent article in the Star Tribune (5/28/12) that told the story of the small Dutch town of Margraten, where, for nearly seven decades, villagers have cared for the graves of the eight thousand U.S. soldiers who are buried there, killed as the village was being liberated from retreating German forces who had “scorched a nightmare into the land,” in the words of the article. When the Americans arrived, adults and children dressed in their best to meet them, many of them weeping in gratitude and relief. 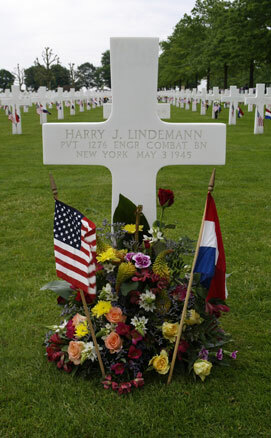 A single soldier’s grave is adopted and still tended by a Dutch family because of something that happened 70 years ago. A small plot of ground becomes the stage on which to express deep, enduring human gratitude. Let us go forth into the world and know that there are words of hope and healing that will never be spoken unless you speak them, and deeds of compassion and courage that will never be done unless you do them. God calls us to tend our plot of ground on God’s behalf. No one else can do what we can, where we are, at a given moment. We have power and a sphere of influence that is ours alone. And we have help. Full disclosure: I love the horses. Horses beautifying a field by just by standing in it, storybook horses like Black Beauty, movie stars like War Horse, and most of all, race horses. I’ve only seen horse races on television, but never miss the Triple Crown events that are happening now: The Kentucky Derby, The Preakness, and soon the Belmont Stakes. Infinitely more interesting to me than sports like football or even baseball, horse races have a mystical element: the relationship between the animal and the rider and the fact that animals – not humans — are in control. I am awed by horses: their strength, their dignity, their beauty, what they will do for us and with us. and most of all, their heart. Since before Biblical times, horses have been the partners of humankind: plowing, hauling, carrying, running into the bullets and swords of brutal scenes of war and killing when asked to by their masters. In what is considered to be the oldest of any Scriptural verse, referring to the Crossing of the Red Sea, we learn “the horse and the rider were thrown into the sea.” The television horses of my youth (Roy Roger’s Trigger, Hoppalong Cassidy’s Topper, and the Lone Ranger’s Silver) were stars in their own right. Now horses are even stepping up to be part of therapy for emotionally-scarred humans, who are helped by the animals to relearn the basics of trust, gentleness, and compassion. “Heart” is a word we use casually, but refers to more than the organ pumping blood through the body.. It also connotes courage, generosity, fortitude, substance. The great horses have heart. When Secretariat died, an autopsy revealed that his heart was two and a half times larger than the average horse – 22 lbs, compared to the usual 9 lbs. This trait was not an oddity, but was a special gene passed on through his mother. Isn’t that wonderful? I don’t think anyone was surprised that the great horse was propelled by a great heart in every sense. One of the Great Mysteries for me is that of the relationship we may be allowed with other elements of creations, such as horses. Yes, we sometimes exhibit more concern for our pets than we do for other human beings. Yet what an animal will do for us and with us, and the bonds that can develop with another species is a peek into the window of the bigger picture of God’s creation and the gifts that await. See you in church … or at the races. When I was a kid, my friends and I spent countless hours on the beach in front of our house, so close to the bay view windows it was like an extended front yard. At low tide that yard grew, stretching at times almost a full football field’s length out into the bay. Those were the best days to be on the beach. We would slip into our rubber boots, grab an old ice cream bucket and head out to explore the subterranean world that was now exposed for all to see. 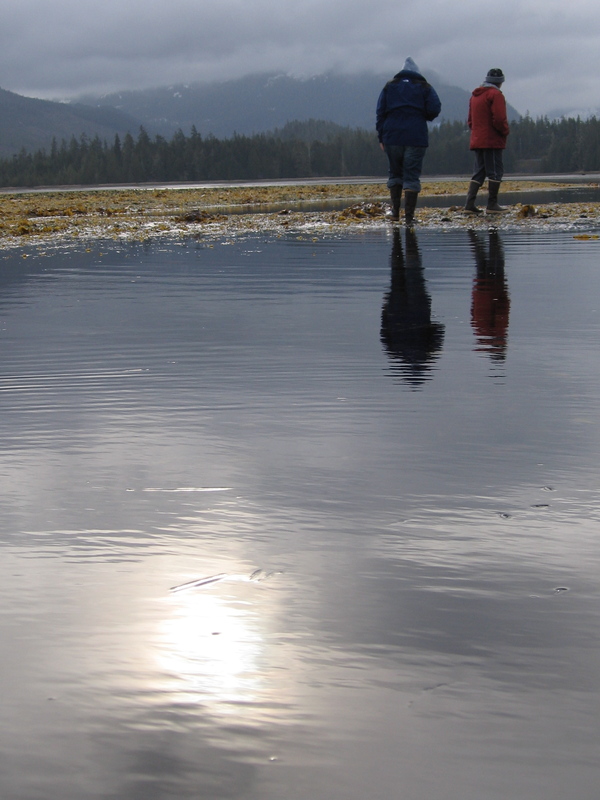 As the tide receded it left behind little tidal pools shallow enough for us to wade through and see all the creatures that were normally beyond our sight and our reach. We would spend the duration of the tide collecting minnows and hermit crabs and baby octopi in our buckets full of sea water, and then compare our catches. I remember that the first few times I did this, I always insisted on bringing the bucket home with me. I would leave it on the back porch, like a transplanted plastic tidal pool, full of the wonderful mysteries of the deep. But, each time, usually the following day, I was disappointed to find that all the creatures in my bucket had expired, and that the fresh saline from the shore beyond our house now smelled foul and swampy as though from a contaminated source. My father, the biologist, taught me that the critters in my bucket depended on the food and oxygen and temperature control provided by returning tides, and that by removing them from their watery world I was in essence cutting them off from all the things that helped them survive and thrive. All creatures have their habitat, that confluence of all the things that help them survive and thrive. Deer stick to the forest, fish the water, and you might say people, well, we need community. In John’s gospel, which we’ve been hearing a lot from on Sundays, Jesus invites his disciples to abide in his love. He invites them to see his love as a reality that can be lived in just as birds fly through the air and whales slide through the water. And he also invites us in the same breath to “love one another”. The invitations always seem to follow one another. Living in community with a loving God and in loving community with each other. This is our tidal pool if you will, the place where we will survive and thrive. As summer approaches and days lengthen, I want to reissue the invitation that Jesus gives to us this Eastertide –abide in his love, and love one another. Find time to be in this kind of community this summer. How did I EVER get myself into all of this? I looked at my calendar at the beginning of May and wanted to throw up my hands or cry. What was I thinking when I committed to preaching three sermons in one month – sermons of far different types: A wedding (of friends), a funeral (of a longtime colleague at The Blake School), a Mother’s Day sermon at St. John’s, and all in a month that is one of the busiest ever in Minnesota (yard! garden! deck! window washing – okay I hired that…and some of the gardening). What bothered me the most is that I wanted to do a really good job on all of it. For me, this takes time, and more importantly, the integrity thing. I am unable to go into a wedding, for example, and not be aware of my own unsuccessful experience with the institution, and say something that is not, well, real. As for the funeral, I easily thought of the opening part: “Until someone dies, very few of us ask the big questions.” Yes, good. Like it. Now to identify the questions and why we don’t ask them! With Mother’s Day, I was already worried about, well, the usual things: what to say that’s new, how to say it. Of course, the responsibility and privilege of stepping into a pulpit is always in the forefront, regardless of the occasion. Whether any of us confront our too-full (or too-empty) calendars, a week of nothing but obligations and duties, a persistent loneliness, or a burning desire to please those we care about along with doubts about our abilities to do so, it is challenging to say the least. We can be caught in the perils of not enough: time, talent, focus, happiness, knowledge, persistence, experience, luck. As Jesus gathered up the fragments of the loaves and fishes after the feeding of the five thousand – and there was still enough left to feed many– so we have fragments of knowledge, experiences, talent, and even wounds and scars that can serve our purposes. We have resources, and God promises that, if we ask, he will transform them into enough. We don’t have to do it all on our own. That’s part of what it means to be a person of faith. I had more resources than I knew, going into this demanding month. Mark Twain himself helped me enliven the wedding sermon; references to some of my favorite movies did some of the heavy lifting in the funeral sermon; and my previous work at Blake helped shed light on the Gospel reading for Mother’s Day. I had resources, fragments, and offered up freely, they were enough. Yours will be, too.